Humility is hard. Humiliation is harder. I was asked to write some brief thoughts about the application of Philippians 2.1-11 to my life. My thoughts are neither brief nor, sadly, do I see them applied very well thus far in my life. Thankfully, the journey of faith is a road slowly traveled and full of grace. “Therefore if you have any encouragement from being united in Christ, if any comfort from his love, if any common sharing in the Spirit, if any tenderness and compassion, then make my joy complete by being like-minded, having the same love, being one in spirit and of one mind. Do nothing out of selfish ambition or vain conceit. Rather, in humility value others above yourselves, not looking to your own interests but each of you to the interests of others. In your relationships with one another, have the same attitude of mind Christ Jesus had: Who, being the very nature of God, did not consider equality of God something to be used to his own advantage; rather, he made himself nothing by taking the very nature of a servant, being made in human likeness. And being found in appearance as a human being, he humbled himself by becoming obedient to death–even death on a cross! Paul’s letter to the Philippians. Obviously one cannot compare their life, whether you are a spiritual person or not, in any way to what Jesus Christ, the Son of God, gave up — his stature in heaven with God the Father — and Jesus did that for you and me. And yet, that’s the irony right? And the beauty. We are so very human and yet in the words of the Apostle Paul in Philippians we are taught to behave so unnaturally, even supernaturally. And we can’t. We can’t do anything like that. A human life can’t possibly compare. What then? Reread this section of Paul’s letter to the Philippians 2.1-11 in Today’s NIV (above). But I have come to respect Paul’s story; his passion, his purity of purpose, his agape love for each church that he started, his strong prayer life, and especially as it applies here, his willingness to make personal sacrifices every day for the cause of Christ. What he was instructing the Philippians to do, he most definitely lived out himself. Writing from a prison cell, it is striking that he says “fulfill my joy” or “make my joy complete” (depending on the translation) by having “the same mind and the same love, by being of one spirit and intent on one purpose.” He’s not saying here’s a way to become a “cookie cutter Christian” thankfully. What he is saying emphatically is do this to be united! And he continues, be humble because it is impossible to be “one church” if you are living for yourself, for your own desires, agendas and needs; If you are constantly seeking those things that only create a better life for yourself, you are not united. And then, as if that were not clear enough he goes on to say don’t do anything out of selfishness and think of others as better than yourself. And if you do this, the result will be unity. I’m thinking at this point: “Okay, no biggie. Have some humility. Live for others. Give up your “rights.” Be unselfish. Wow, I need to work on this!” I just haven’t had it put so emphatically before. It is as if the message of Christ depends on it. Unity. And I should want to live that way! I guess it’s time to spend some time reflecting on whether that is true in my life. I’m four verses in and I’m totally convicted that I rarely live as if others are more important me. Incredibly to me, at this point Paul becomes gentle so I guess he has a softer side. I’ve judged him from the lists of dos and don’t in Corinthians. In a poem he goes on to describe in beautiful words the utter humiliation of Christ for us — Christ’s descent from the throne of God to death as a human on a cross. That is the humility Paul challenges the church of Philippi to and that is our example — Christ chose humiliation. As Christ became human, he gave up being seen as God and emptied himself taking on the limitations of human flesh. He never ceased to be fully God, but for a time he actually gave up GLORY for us. If your mind isn’t blown at this point, well, you’re not fully taking it in. It’s mind-boggling. It is worth pondering a while over the Advent season. It’s incredible. “1 We are to be bringing our thinking into line with one another. 2 Know the Gospel is the the final aim, not simply unity. 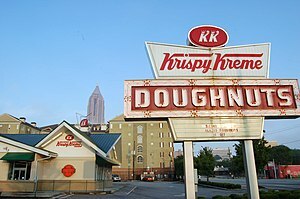 If “it” doesn’t align with the Gospel, we could be unified around Krispy Kreme donuts, but that’s not what Paul’s promoting. These are difficult times. The recession has effected so many people, that if you happen to have kept your job you feel incredibly grateful! If you have lost a job or may have been forced by circumstance to live with family or a friend, you know you are one misstep away from potential disaster. Perhaps even from joining the most powerless in our society — the poor, the elderly, many children, victims of domestic violence, youth fleeing abusive homes, many immigrants working two or three jobs to get by. None of these groups of people have power or influence in society. They are definitely “the least of these.” Their lives are a struggle and at times unbearable. At the bottom of this list, rock bottom I think, are those that are have lost their home and live now on the streets. We make assumptions about the homeless and never question them. For the most part we avert our eyes and walk quickly past. There are homeless downtown that are the “stereo-typical homeless person — male, impoverished, smelly panhandlers that smell like alcohol and are acting slightly off.” But, actually, the average age for the homeless in Dane County is nine years old. My youngest is nine and he’s just a kid lucky enough to live in a house. Why him? hu. mil. i. a. tion. 1 degradation;2 the state of being disgraced; shame; 3 a humiliating condition or circumstance. I cannot think of anything more degrading or humiliating than being homeless. Often, if we think of the homeless at all, we convince ourselves that they somehow deserve it. It’s not a clear thought and if we keep it ambiguous and undefined we don’t have to face it. But we probably think that somehow homeless people chose. I challenge that idea completely. When you are homeless no one knows who you are or where you are. You have lost everything: your old life, important relationships, job safety, the security of a locked door, and more importantly being known by someone, giving and receiving love, feeling content, the goodwill of being in community or a family — They chose to give up all that to be a wanderer known by no one? With no history — “lost” to your family and society — invisible — and somehow you chose that? This idea is absurd and is based on our chosen ignorance. Even selfishness. Yes, the truth about homelessness is that it makes us uncomfortable. 3 inability to pay rent. 3,894 people were served in emergency shelters. More than three thousand children, teens, elderly, veterans, mothers and fathers, uncles, aunts, PEOPLE were turned away from shelter for lack of space and resources in Madison alone. As a member of BH Downtown, I was recently asked for$ .75 by a panhandler just outside of the Majestic. I was disconcerted because this wouldn’t happen on the west-side of Madison and I was unsure what to do. But I was with my kids. So I dug in my pocket and gave it to him, mainly thinking we have so much and my kids know it. And I wanted to show them that generosity is important. (Subsequently I learned giving money to panhandlers in Madison is illegal.) Looking back I think it is laughable that they might learn anything from our giving up less than a dollar to a homeless person. There was no sacrifice and there was no lesson learned. When it comes to the homeless in Madison, in the past I have consoled my aching conscience with a few dollars and moved on. And I spent some hours thinking, reading, fretting about the complexity of the homeless situation, growing ever more hopeless about resolving the grander issues of funding and public apathy. But, being downtown every week, if I choose to see the homeless, they are there. There is a group here in Madison that does see the homeless. As I’ve thought about the Apostle Paul’s challenge to give up yourself for Christ, I see the actions of this group as an example of what Paul is talking about. I cannot think of anything more humiliating than living on the street, not knowing your next meal will come from; perhaps only having water and a meal once a day. Being constantly cold. It sounds horrible. Homeless people likely did not lose everything by choice, perhaps simply bad luck or a series of unfortunate circumstances. The less power you have the more difficult it is to regain it. Powerlessness begets powerlessness in America, that’s a fact. Paul says regard others [the homeless, or anyone] as higher than yourself. Voluntarily give up your rights. One way to do this is to serve the humiliated. See them. Go to where they are. Listen to their story. Be a friend. Or just be a meal. In these cold nights of Wisconsin winter you might even save someone’s life by providing a coat or blanket or warm meal. If you want to help on any given Sunday you will find these good people giving away food and other resources. Week in and week out, over the years, people have given up their time, money and things for the lowest and most humiliated in our city. So even as I write these words in the comfort of my heated home and my belly growling just a bit from “forgetting” to eat dinner, I am convicted. In my humanity I cannot do anything and I don’t really even want to sometimes. It’s unnatural to put yourself in a situation like that. And, it is moving into winter and Sunday afternoons are cozy family times at home. My mind is full of dozens of reasons why I don’t really want or need to help out. But we are instructed to behave supernaturally. Jesus Christ, the Son of God, gave up equality with God for you and me. That’s the rub. So I need to perhaps get cold and uncomfortable. Go be something more than I really am, because Christ did so much more for me. Not because I owe Him but because I am so grateful and humbled. I am challenged by these words of Paul to be more like Christ. Jesus was known for giving up his rights for the sake of the world. What am I known for? Paul for Everyone: The Prison Letters, Tom Wright, Westminster John Knox Press, 2002. Like like love love… wow… wow… YES! thanks for another wonderfully thoughtful post. I appreciate the discussions that you start. I loved volunteering at LUKE HOUSE. Paul Ashe is a wonderful, servant and lives out humility. He is there to greet everyone, at every meal. He is a listening ear. If you want your kids to learn something – take them to volunteer there. They will eat with homeless people. I felt a bit uncomfortable the first few times I went – what was I to say? But I kept going back. Much to think about. Another opportunity to be thankful. As for those looking for handouts on the streets of Madison, I was always careful to give food and drink. Never cash – not because it’s illegal – a control thing. That way the cash didn’t go to liquor or drugs.